This article is the second in a four-part series on quantum electrodynamics. You can read the previous article here and the next one here. Have you had a vision lately? Perhaps not in the metaphorical sense, but in a physical sense you're having one all the time. It's the result of light scattering off objects around you — the computer screen, the mirror, the tea pot — and hitting your eye. At school we learn that light, like all electromagnetic radiation, is made up of waves and matter of little particles. Vision can be explained in terms of the interaction of these waves and particles. At the beginning of the twentieth century, however, physicists realised that things were more complicated than that: particles and electromagnetic waves were both wave-like and particle-like. 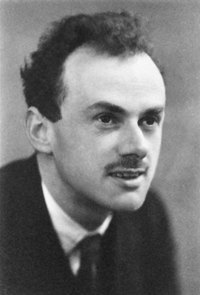 The British physicist Paul Dirac described both electrons and particles of light called photons in terms of quantum fields: particles correspond to units of excitation, to carefully measured quivers in those fields (see the previous article). 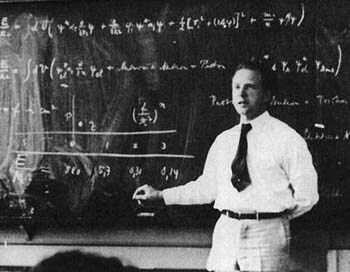 His brand new mathematical formalism described both the electron field and the photon field — to describe the interaction of matter and light, all physicists needed to do was to put that formalism to work. But they quickly encountered a problem that turned out to be, quite literally, of boundless proportion. It was a consequence of a central result of quantum mechanics, the new physics that had been developed during the 1920s and was the motivation for Dirac's new treatment of electromagnetism: Heisenberg's uncertainty principle. Stated in its usual form, the principle says that the more precise you are about a particle's position the less precise you can be about its momentum (the direction in which it's heading and its speed, multiplied by its mass) and vice versa. If you pin down, say, momentum to a good degree of accuracy, your uncertainty about position increases. It's not that the particle is somewhere definite but you just don't know where, rather in quantum mechanics ideas such as the location and trajectory of a particle simply don't make sense. 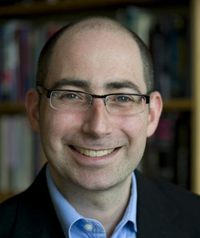 David Kaiser is a historian of science at MIT. Image: Donna Coveney. The principle can also be stated in terms of energy and time. Usually energy is something that is conserved: as we all know from experience, it can't be created from nothing and similarly it can't just disappear. But Heisenberg's uncertainty principle means that there is a trade-off. Energy can become available from nothing for very brief moments of time. As a consequence, a quantum field is constantly plagued by short-lived excitations. And since excitations of fields are interpreted as particles they became known as virtual particles. "It's like naughty school children," says David Kaiser, a historian of physics at Massachusetts Institute of Technology who has written a fascinating book including an introduction to this topic. "If you are only going to stick your tongue out, you can do it for longer, but if you are going to jump up on the desk you are going to have to do it pretty fast if you don't want the teacher to see you. This is what we think is happening all the time, unstoppably, at the quantum mechanical level. Little particles are constantly stealing energy from the vacuum. They are breaking the rules. Depending on how much energy they borrow, they have to pay it back correspondingly quickly." Despite their puzzling nature, virtual particles turned out to be useful in explaining the workings of the electrostatic force. Breaking the law for brief moments of time, electrons emit virtual photons, which will be absorbed by another electron in the vicinity. This interaction pushes the electrons apart, an effect we see as the repulsion between like charges. In 1932 Hans Bethe and Enrico Fermi declared virtual photons to be the force carrying particles that mediate the electrostatic force. But virtual particles also created huge problems. According to the theory, an electron constantly emits and absorbs virtual photons which come with their own energy and momentum. What is more, pairs of virtual electrons and their anti-particles, positrons, constantly pop in and out of existence, clouding around the central electron, creating a flower picture as the positively charged virtual positrons are attracted to the negatively charged central electron. 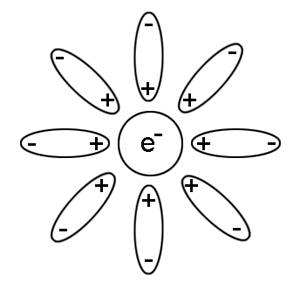 Virtual electron-positron pairs clouding around a central electron with positively charged positrons attracted to the centre. Being created from the vacuum, you wouldn’t expect the virtual particles to have a large effect and so the contributions and should be small. But when physicists set out to calculate them, the result was nothing short of scandalous. The correction terms turned out to be infinite! This meant that the new mathematical formalism of quantum electrodynamics was utterly useless when it came to calculating even the simplest interactions. "At the most basic level of approximation, ignoring virtual particles, I might say that the likelihood of two electrons scattering off each other is 78%," explains Kaiser. "But I can't switch off the uncertainty principle. Even if I consider just one virtual particle I all of a sudden get 78% plus infinity." The problem was that you could not tell how much energy a virtual particle had borrowed. "These virtual particles could steal seven units of energy, or fifty, or an infinite number, as long as they paid it back correspondingly quickly," explains Kaiser. In the calculations of and all the possible energy levels of even a single virtual particle needed to be taken into account, producing an infinite sum with an infinite answer. In mathematical terms, they produced a divergent integral. "So what? ", you might say. The effective mass and charge of any electron are finite, after all we can measure them, so the infinities must be an artefact of the theory. One way of dealing with them is to simply cut the divergent integral off: only consider energies up to a certain, very high, level. Using this trick the integrals can indeed be made to converge, that is, they become finite. But unfortunately this approach violates a theory no self-respecting physicst would want to mess with: Einstein's special theory of relativity. 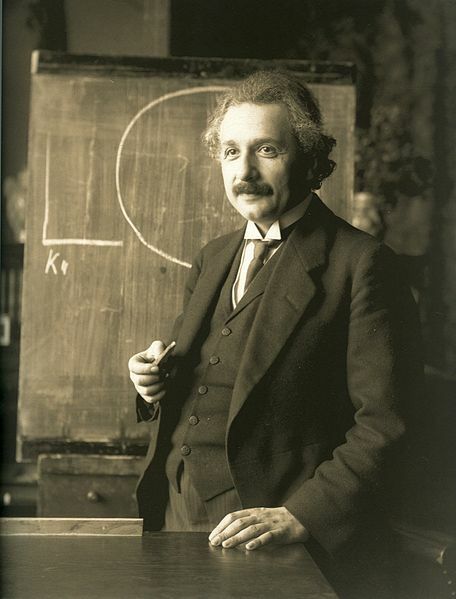 According to Einstein's theory, observers, as long as they are not accelerating but are in an inertial frame of reference, should see the laws of physics acting in the same way no matter how fast they are moving: this is a fundamental symmetry of nature. The problem is that the amount of energy you measure in a moving particle depends of the speed with which you yourself are moving. "You could say, what if I cut the energy levels in the calculation off at ten gazillion," says Kaiser. "This little approximation might seem unimportant to us, but someone travelling at 99.9% of the speed of light would flagrantly see that difference, so we would be privileging our own state of motion. If we really take the uncertainty principle seriously and combine it with special relativity, there is no way to cut off the stealing of energy at a finite value. To do so would break the symmetries of special relativity." But potentially infinite energy levels weren't the only problem. Electrons interact by exchanging virtual photons, and they can indeed exchange any number of virtual photons. In calculations this unbounded number of virtual photons needed to be taken into account, giving rise to a sum with infinitely many terms: roughly speaking, it's one term corresponding to one virtual particle being exchanged, another term corresponding to two particles being exchanged, another to three, four, five and so on. Altogether this gives a double infinity, since each individual term would itself be infinite, due to the unbounded energy levels you needed to consider for each virtual particle. Like for the divergent integral problem, there was a fudge solution to deal with the problem of infinitely many terms. "In general, every time an electron interacts with a photon, the strength of that interaction is small," explains Kaiser. "Electromagnetism is not a very strong force. It’s much, much weaker, for example, than the nuclear forces that keep particles bound within an atomic nucleus." Indeed, the electrons’ interaction depends on the square of their measured charge , which can be determined in experiments and is very small: in appropriate units. In the infinite sums that need to be considered, successive terms (which roughly speaking correspond to larger and larger numbers of virtual particles being exchanged) come with increasing powers of as their coefficient: and so on. The larger the numbers of virtual particles being exchanged, the higher the power of as a coefficient of the corresponding term. When you raise a very small number to some power, the result is smaller still; in the case of we find that is about ten thousand times smaller than . This means that in these sums you can simply ignore the higher order terms corresponding to a larger number of virtual particles: the smallness of their coefficient meant that their contributions were negligible, at least if you assume that the terms themselves are finite (which of course they are not, due to problem 1). But while simple in theory, in practice this perturbative approach, as it became known, didn’t help much. Calculations involving even just a few virtual particles were still horrendously complicated: working out the s and s was far from straight-forward. In 1935 Hans Euler, a student of Werner Heisenberg, considered a specific interaction between photons but confined himself to the and terms. His calculation took eighteen months to complete, ran to fifty pages in the journal Annalen der Physik and was complicated enough to earn him his PhD. And of course, Euler’s calculation was an approximation in another sense too: not only did he cut off the infinite sum, he also had to cut off the energy levels to produce finite integrals in the terms he did consider. "Divergence difficulties, acute accounting woes — by the mid-1930s QED seemed an unholy mess," says Kaiser in Drawing theories apart. "As calculationally intractable as it was conceptually muddled." It took two giants of physics, Freeman Dyson and Richard Feyman to sort out this mess. Their ingenious approach is what we will explore in the next article. David Kaiser's book Drawing theories apart explores the development of Feynman diagrams and contains an excellent introduction to the topics discussed in this article. Marianne Freiberger and Rachel Thomas are Editors of Plus. They interviewed David Kaiser in Boston in February 2013. They are hugely grateful to Jeremy Butterfield, a philosopher of physics at the University of Cambridge, and Nazim Bouatta, a Postdoctoral Fellow in Foundations of Physics at the University of Cambridge, for their many patient explanations and help in writing this article. In the fourth paragraph of 'The living vacuum', the link to the 'fascinating' book by David Kaiser leads back to the 'problem with infinity' page. I'd love to get a reference to the book. We've fixed that now - we hope you enjoy the book.